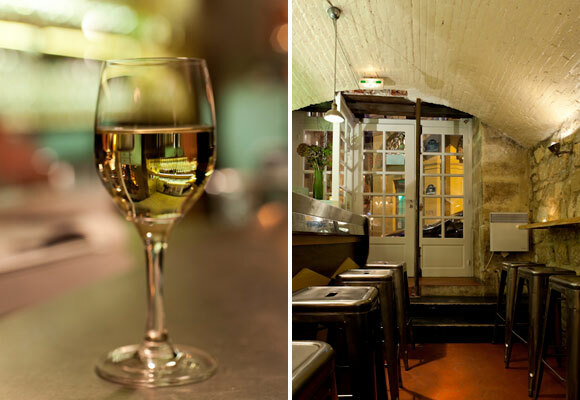 After standing strong at the forefront of the Paris underground dining scene for several successful years, the Hidden Kitchen’s coveted twice-weekly communal dinners are no more! And that’s actually good news. 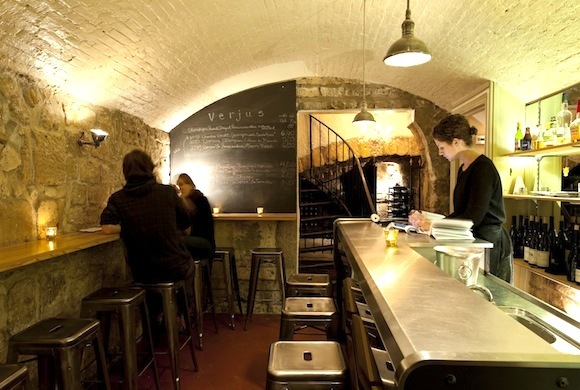 Laura Adrian and Braden Perkins, the culinarily gifted couple behind Hidden Kitchen, have moved from private to public with their latest new venture: Verjus, a wine bar and restaurant open now in the heart of the 1st arrondissement. 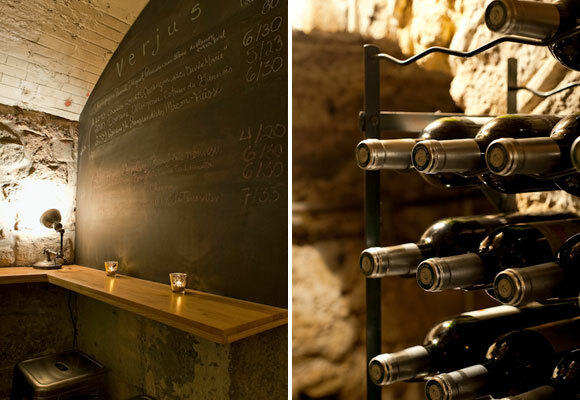 The wine bar and restaurant are located in two separate spaces just steps from each other. 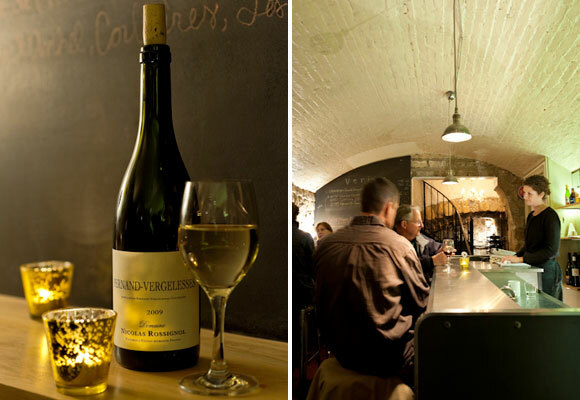 The wine bar showcases the foodie couple’s skill at bringing a fresh and creative touch to a classic concept, while respecting some of the cozy traditionalism characteristic of these types of venues. Here Braden has developed a limited menu of small-plate bar food; the fried chicken is already legendary among local foodies and hopefully will remain a staple. Other options may change, but you’re in for the likes of indulgent pork belly, plump dumplings or delicately crisp fries served in sturdy silver cups. At prices ranging from 4€ to14€ per plate, it works equally well for a quick apero or a longer, tapas-style meal. And leave room for dessert! The menu offers up a few fantastic sweet choices as well. 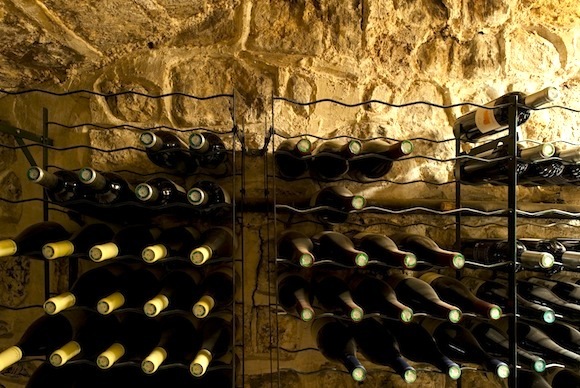 All of this can be washed down with a selection of handpicked, reasonably priced wines by the bottle or the glass. Laura personally works with the merchants to select interesting and well-thought out options. The carefully curated list changes regularly, making sure there’s always something fresh to try. For those in the market for something stronger, their whiskey selection is equally respectable with options Nikka Red, Scapa, Blanton’s, Maker’s Mark, Springbank and Laphroaig ranging from 10€ to14€. Given their already established rep for delicious, thoughtfully crafted meals, eager patrons have been pouring in from the moment they opened the doors. The tiny bar takes no reservations and closes by 11pm, so your best bet is to get there right as it opens. 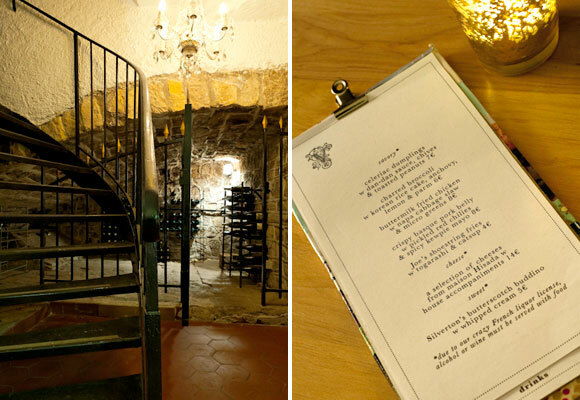 Later in the evening, you can squeeze in alongside the amiable crowd and angle for a stool at the bar or along the stone-lined walls. The restaurant side of the venue, with a separate menu, opens on December 1st. So…Good-bye, Hidden Kitchen. Your presence will be missed on the Paris food scene. But as they say: All good things must come to an end. And that fact is a lot easier to swallow when you’re making room for the beginning of something bigger, bolder and better. Hello, Verjus! Written by Forrest Collins for the HiP Paris Blog. All photos by Julien Hausherr; Contact:[email protected]. Looking for a fabulous vacation rental in Paris, Provence, or Tuscany? Check out Haven in Paris. This looks absolutely wonderful. I need to go here.